Wild Rangers will bring some of Australia’s unique and fascinating Native animals to your next party which we assure will educate and entertain both children and adults! 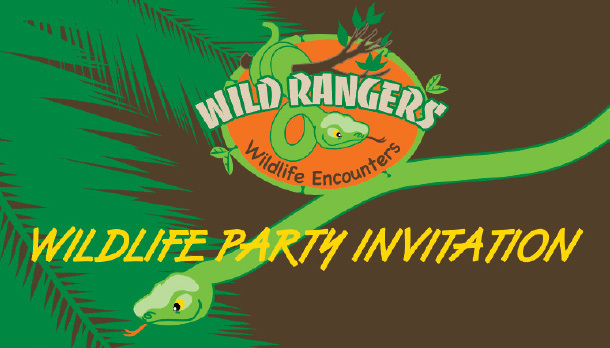 Wild Rangers Reptile and Wildlife birthday parties are fun, authentic, interactive and hands on. 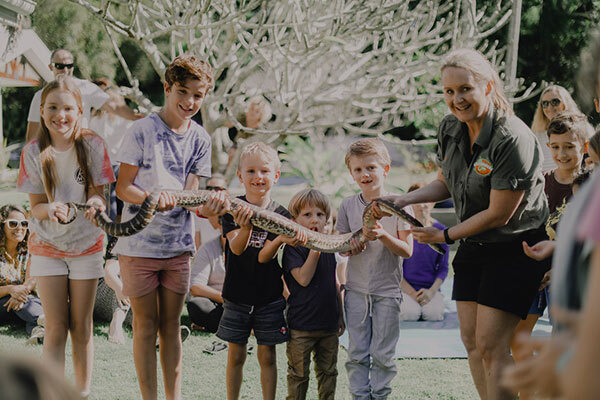 Our Wildlife and Reptile parties are perfect for kids of all ages and the kids will get to touch and hold some of our amazing animals such as a Saltwater Crocodile, large and small Pythons, Lizards, Turtle, Birds and Possums. Our kids parties Brisbane & Gold Coast, will entertain your kids for around 1 – 1.5 hours. Wild Rangers is a leading Wildlife Party provider who provide educational and authentic Wildlife encounters for kids and adults. We are experts in providing education and entertainment for kids Birthday Parties and other events. If you’re wanting to organise the perfect Wildlife Birthday Party featuring amazing native animals including Reptiles, Birds and Mammals then get in touch! Price on Application, contact us now for a price. 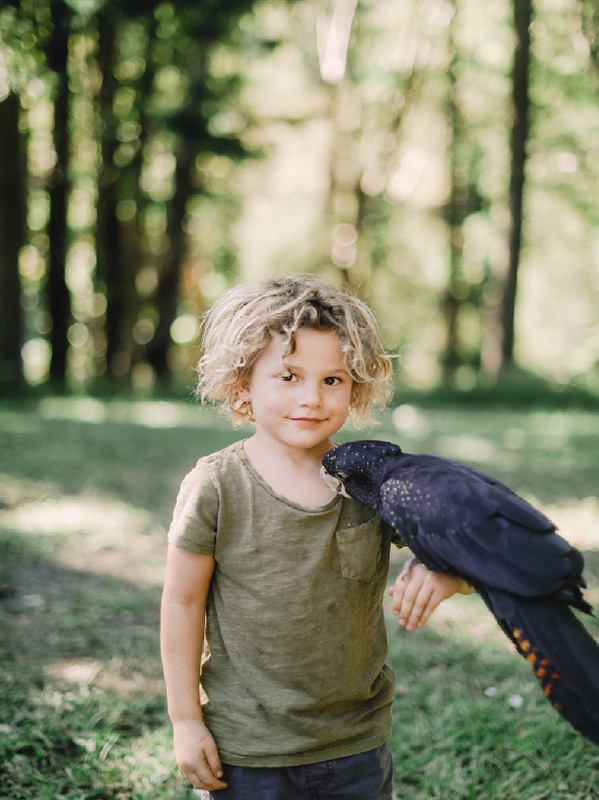 Wild Rangers offer Wildlife parties and Reptile parties throughout SE Queensland and Northern New South Wales including the Gold Coast, Brisbane, Tweed Coast, Pottsville, Kingscliff, Byron Bay, Murwillumbah and surrounding areas. The birthday child will get special treatment, and will be ‘our special helper’ for the day. They will be up the front with the presenter and get to hold the animals. The birthday child will also receive a framed photo with an animal of their choice which we print on the day. To find out what areas of Australia we can provide reptile parties to, click here. Have your camera ready to take lots of photos. If you have a special request, just ask! All you will need to do is sit back and relax and let us take your guests for a walk on the wild side! Are the kids allowed to eat while the animals are out? Unfortunately we can’t allow the kids to eat while the animals are out due to germs which our animals carry. We also suggest having some Hand Sanitiser on hand or preferably hand washing facilities for the kids to use after the show. It’s a good idea to give the kids a quick snack before we arrive. Generally we don’t ask for a deposit when making a booking. We ask you to pay in full on the day. Can we have the party at your location? We are a private zoo that is not open to the public. We can visit you at any location for your party. Can we have the party at a park? Yes, but we ask you to have a wet weather backup plan as it’s unfair to cancel the party due to bad weather. Again we would require shade. We also require somewhere close to park as we have a lot to unload. If the party is inside, will the animals make a mess? Not likely, since we carry the animals they are not running around pooing on the floor. Yes we can do parties outside, however we do require a shaded area and enough space for our animals and for the kids to sit in a circle. How much time do we need to set up? It doesn’t take us too long to set up. We will arrive 10-15 minutes prior to starting to unload and set up. What time should I start the party? We ask that you start the party at least 30min before we arrive. This will allow for late comers, so we’re able to start on time.